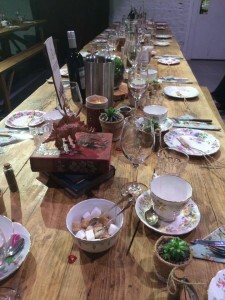 If you are interested in booking us to come and cater for your corporate event just get in touch. We can work in pretty much any space you have available, anywhere across Manchester, Cheshire and the surrounding areas, and to any dietary or other requirements you might have. 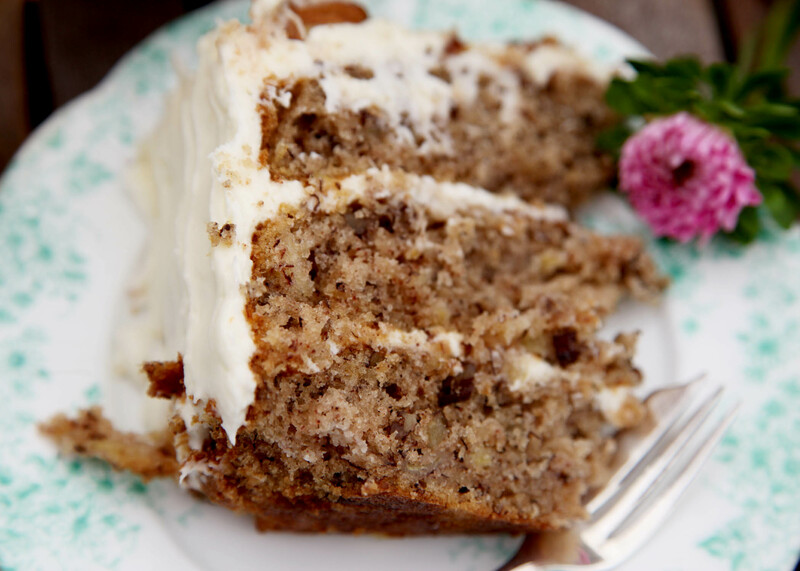 We serve delicious home baked food that is about as far from the beige buffet as you can imagine. Our customer service is 5* and that is reflected in our reviews (check out our Facebook page www.facebook.com/alicesvintagepantry). Look forward to seeing you soon! 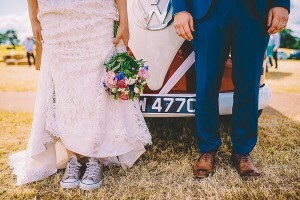 Thought this fabulous wedding was worth a little write up. 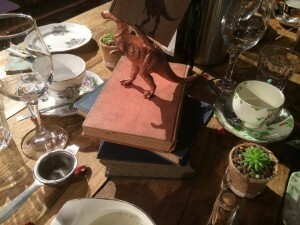 Dinosaurs and afternoon tea…what a combo!! We love it. 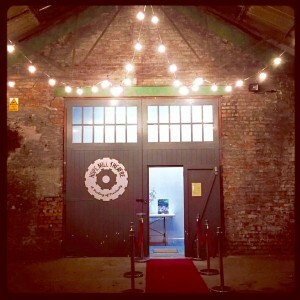 This gorgeous venue is one of our all time favourites, Hope Mill Theatre in Manchester. 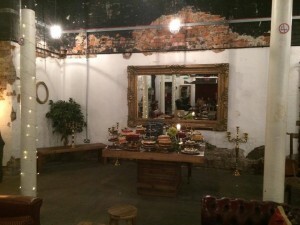 It’s situated in the ground floor of a former cotton mill, now a grade 2 listed building. The space is SO unique. Super high ceilings, two large spaces that both feel cosy, fab staff, flexibility to create the wedding you want in the space, AND they are not a wedding factory. We were beyond delighted to be selected to provide a vintage afternoon tea for the wedding of our clients Lauren and Chris. Booked 12 months before their wedding we were counting down the days. It was a complete honour to be catering for them in Hope Mill. With 130 guests at the wedding we had a lot to do. 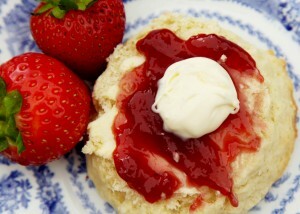 We baked lots and lots of cake, 150 scones, and made over 1300 yummy sarnies. The guest list included 16 vegetarians, two vegans and 17 children. The menu catered for them all. We had eight different sandwich fillings on the menu, and 14 different types of cake. 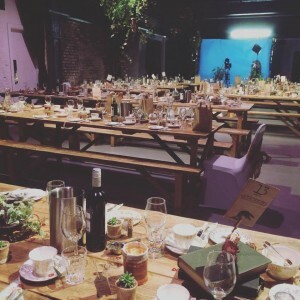 The room was set-up with the most gorgeous solid wood trestle tables (on hire from www.rustictrestletablehire.com), vintage books and dinosaurs on the tables, and the most beautiful floristry from Eden Floral Styling (our vintage china to complete the look). Set-up and smooth running of the day managed by the fabulous Stef from Alternative Weddings Manchester. Run up to the big day was busy, the day itself beginning with room set-up. The empty space soon filled and looking great. Then back to our base to make all those sandwiches. 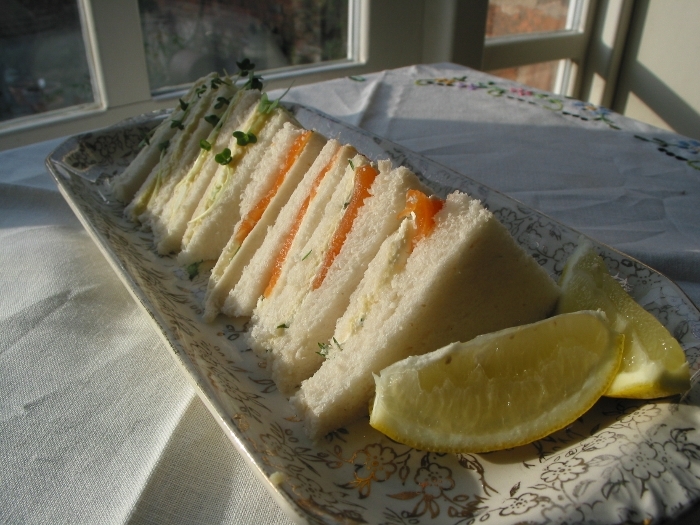 We were using a mix of rolls, thinly cut wraps, seeded, wholemeal and white bread. All the sandwiches and scones were served to guests at the tables, along with lots of hot loose leaf tea. 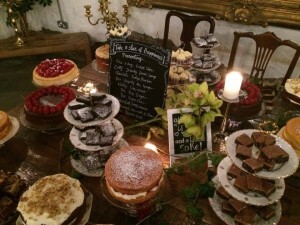 The cakes were presented on a beautiful table for guests to help themselves. This was a great option for our clients, they were keen to keep the wedding informal with lots of opportunity for guests to mingle. 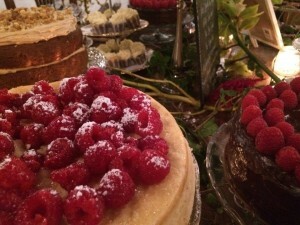 It also meant guests had lots of choice of what they ate! Cakes included our best sellers Lemon Drizzle (with a fresh lemon curd filling), Carrot Cake and Nan’s Chocolate Fudge Biscuit, one of my Nan’s recipes. It wasn’t long before guests were filling their plates. 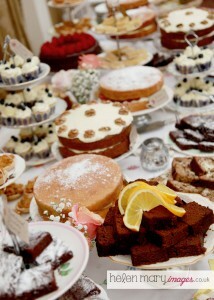 Our tea-lady team were on hand to keep the cake table tidy and topped up, teapots full and everyone happy. Once food, tea and speeches were finished our team cleared the tables and helped prepare the space for the evening of entertainment. 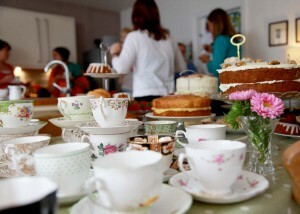 We all had a fab time, tea-ladies and guests alike. So much LOVE in that room!! Couples looking to tie the knot have SO many options when it comes to venues these days…just google ‘wedding venue Manchester’ for a start…the options are almost endless. Over the six years we have been in business there has been a definite increase in the number of couples choosing village or church halls for their wedding celebration venue. Many moons ago this is where many wedding celebrations would take place, they are making a come back big time and we LOVE them. They can offer a huge amount of flexibility at a very very low cost. Have you had a search in your local area? Many of the buildings are beautiful with great amenities and catering space. We have been in many that have gorgeous flooring, high ceilings, beautiful windows and great outdoor space. And all at a low cost. 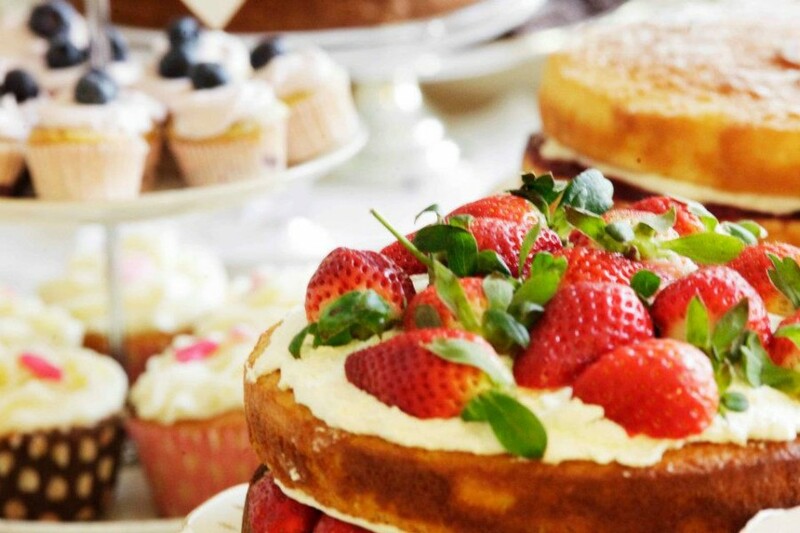 There isn’t normally a restriction on which suppliers you commission to provide your food and entertainment, leaving you to create the wedding of your dreams. You can source your own suppliers, those who you hand pick to match exactly what you need and want. You can decorate the space with pretty much anything you like. Arrange a bar that suits your style and guests. Get the food in that you really wanted on your wedding day. So many positives. Staff – a village hall does not normally come with its own team to run your day for you. You need to consider who is going to switch the lights on, let your guests in and serve them a welcome drink and nibbles, light the candles, turn your tables around for the evening, clear up any rubbish and leave the venue tidy. This is where we have seen a big increase in the work that we do. 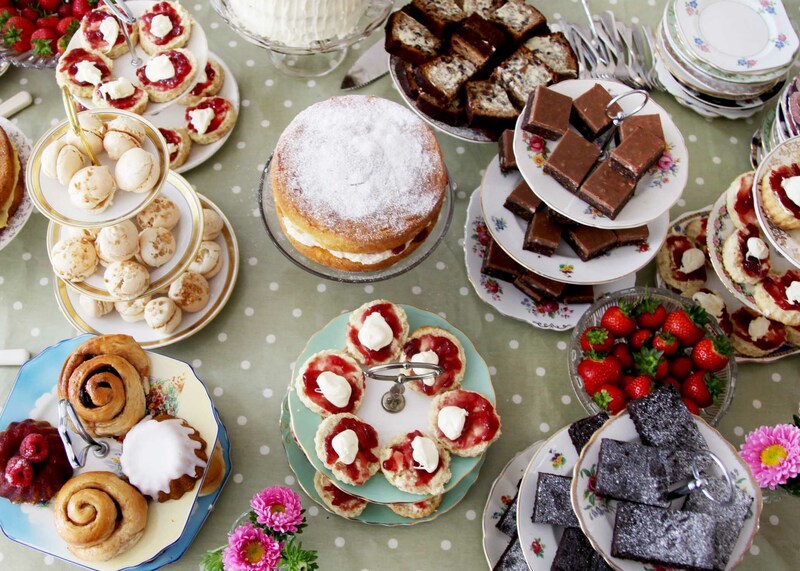 Our fab team of lovely tea-ladies (and a couple of gents) can take on any of these tasks (and lots of others too). We don’t just serve the afternoon tea, we do all of the above plus lots more…often staying until the wedding ends to make sure it all runs smoothly. 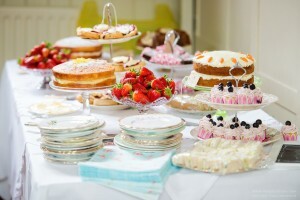 Its a great way to take the pressure off friends and family and leave all your guests to enjoy their day. Get in touch to find out more! 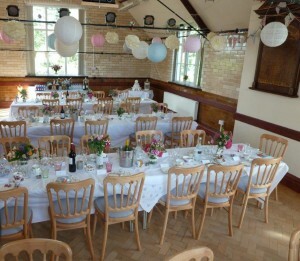 Venue dressing – a village hall can be a large space and the task of dressing it can seem daunting. Many clients underestimate the work that can be involved and some spend hours the day before their wedding getting it right. Its worth making a detailed plan early on about how you will manage that…and it IS manageable. Careful planning and talking to those that have done it many times is well worth the time investment. It might be worth considering getting the help of a professional venue dresser (not as expensive as you might think), or at least getting your friends and family to help you out. 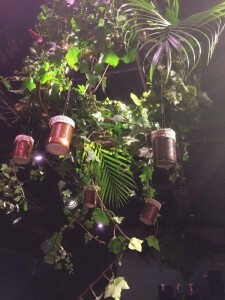 We work with some amazing venue dressers and will happily recommend them to you. 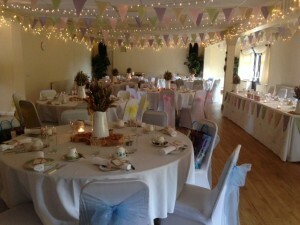 Wedding planning – if you are booking a hotel wedding you will be assigned a planner or coordinator…a village hall won’t come with one of those. If you haven’t planned a wedding or event before this might unnerve you. There is quite a bit to think about and organise. 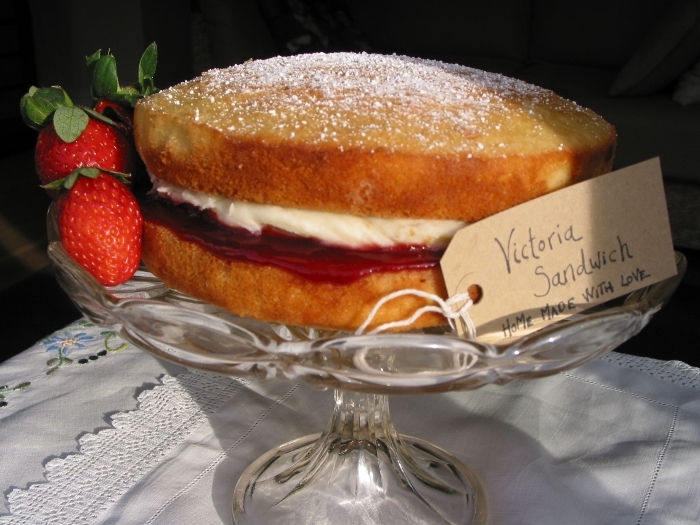 At Alice’s Vintage Pantry we have catered for and managed lots and lots of weddings, we are happy to help with the planning and can offer lots of advice. Just get in touch and ask away!! 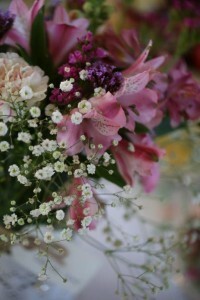 Happy wedding planning lovely people!